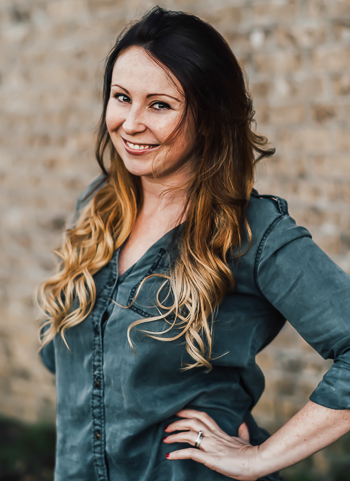 Since I already told you a story on Monday, today we are jumping face-first into a recipe! 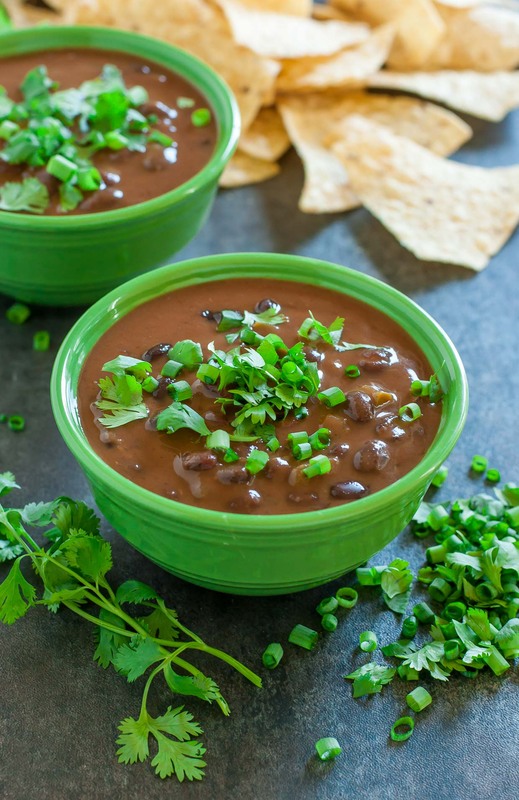 I took my weekly stash of crock pot black beans and, instead of squirreling them away in the freezer, made them into the most heavenly black bean soup of my life. You should probably do the same. Scratch that. You should ABSOLUTELY do the same. You’ll thank me later! Feeling fancy? Zest a little bit of the peel of a fresh lime over a small bowl of greek yogurt or sour cream and whisk together for a refreshing addition atop your soup. It’s delicious! Vegan? Skip the optional cheese on top and this soup is gloriously plant-based! T-Rex chefs, feel free to use chicken broth if needed and you can always top this scrumptious soup with a dollop of sour cream and your favorite cheese. It’s delicious every which way! 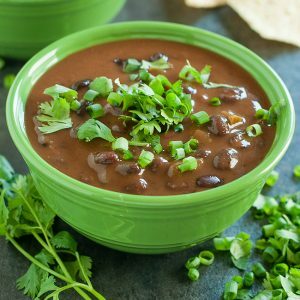 This vegetarian slow cooker black bean soup is super simple to make when you enlist the help of your crock pot! Everyone is sure to love with this super healthy soup! Save money by skipping the canned beans! Whip them up from scratch by cooking dry beans in the slow cooker the day before. Simply rinse and sort beans, add them to your crock pot, fill with enough water to cover two inches above the beans, and cook on high for about 3.5 hours (click here for more details) -- it costs less, spares you the sodium and BPA, and tastes great! I like to soak mine overnight before cooking them - feel free to follow suit! To make the soup, add everything but the toppings to your slow cooker and cover. Cook on high heat for 4 hours and steal a spoonful. To taste, add any extra salt, spices, or cilantro that floats your boat. If you prefer a brothier soup, add a little extra veggie broth and spices at any point in the cooking process. Once your ready to dig in, top with crushed tortilla chips, a sprinkle of cilantro, and some freshly grated or crumbled cheese. You can even add a fresh dollop of sour cream or Greek yogurt. Yum! Store extra soup in an airtight container in the fridge or freezer! It tastes great the first day and even better the next! Feel free to add 1 cup of diced bell pepper if you have it! You may also want to keep a cup or two of extra broth on hand if you'd prefer a brothier soup - I like mine a bit hearty and oh-so-chunky! Nutrition facts below are an estimate provided by an online nutrition calculator and calculated before optional toppings. so . . . how was it!? Amazing! Black beans make the perfect base for a super satisfying soup! The smoked paprika, chili powder, and cumin gave a slightly smoky, hearty flavor to the beans without the use of meat while the salsa, lime juice, and cilantro added a fresh flavor boost! Add a little crunch with the crushed tortilla chip topping and you’re ready to faceplant into a bowl full of Fall comfort! I’m also super partial to the leftovers. It’s great the first day and even better the next! You can ever freeze a bowl or two for rainy day comfort food! SCORE! 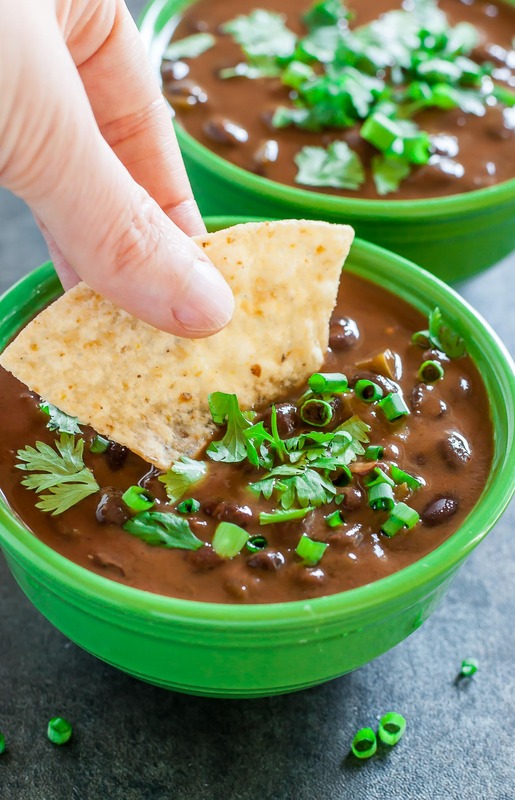 After making this soup on heavy rotation all Fall and Winter long, I can honestly say that I’m crazy in love with this easy peasy slow cooker black bean soup! Hope you love it too! Hi! I’m making this today and I was curious why it has 3 tbsp of olive oil? This was such a great, hearty soup. And reheats wonderfully. Recommend it with cornbread ?. This soup looks super delicious. I have this recipe saved for a while and I am now going to try it. It looks super delicious. I had some friends over last weekend and made your pumpkin muffins, they gorged on it?? This sounds tasty. Will definitely be making this week. Just wondering though, if I decide to be lazy and use organic canned beans, do I need to rinse them first? Is it super spicy? Is there a way to cut down on the spice a bit? Not at all, Genine 🙂 Omit the cayenne pepper (that’s the only heat I have in this dish) and choose a mild salsa verde and you’re good to go! This soup is awesome and my picky husband loves it! Also, because you made it sound so easy, I have learned how to cook black beans from scratch. I’m going to check out what else you cook. Thanks for sharing! Can you cook the black beans in the soup? Cooking in the slow cooker now on this artic day! I’ve made this soup twice in the last week! I absolutely love it. I cooked the black beans on the stove top early in the afternoon with aromatics and then dumped everything in the crock pot for four hours. The smoked paprika added such a great taste. This may have to be on my weekly menu for quite some time as I don’t see us tiring of it anytime soon! Great recipe!